Sir Thomas Browne, MD (19 October 1605 – 19 October 1682) was an English author of varied works which disclose his wide learning in diverse fields including medicine, religion, science and the esoteric. I love to lose myself in a mystery to pursue my reason to an O altiudo. This reasonable moderator, and equal piece of justice, Death. I am not so much afraid of death, as ashamed thereof; 'tis the very disgrace and ignominy of our natures, that in a moment can so disfigure us that our nearest friends, Wife, and Children stand afraid and start at us. Compare: "I know death hath ten thousand several doors / For men to take their exits. ", John Webster, Duchess of Malfi (1623); Act IV, scene ii. We vainly accuse the fury of guns, and the new inventions of death; it is in the power of every hand to destroy us, and we are beholden unto every one we meet he doth not kill us. There is surely a Physiognomy, which those experienced and Master Mendicants observe… For there are mystically in our faces certain Characters that carry in them the motto of our Souls, wherein he that cannot read A.B.C. may read our natures. On my grave as now my bed. Aristotle whilst he labours to refute the ideas of Plato, falls upon one himself: for his summum bonum, is a Chimera, and there is no such thing as his Felicity. Happy are they that go to bed with grave music like Pythagoras. That children dream not the first half year, that men dream not in some countries, with many more, are unto me sick men's dreams, dreams out of the Ivory gate, and visions before midnight. Oblivion is not to be hired. The greater part must be content to be as though they had not been, to be found in the register of God, not in the record of man. Were the happiness of the next world as closely apprehended as the felicities of this, it were a martyrdom to live. Who knows whether the best of men be known, or whether there be not more remarkable persons forgot, than any that stand remembered in the known account of time? Without the favour of the everlasting register, the first man had been as unknown as the last, and Methuselah's long life had been his only chronicle. Oblivion is not to be hired. The greater part must be content to be as though they had not been, to be found in the register of God, not in the record of man. Twenty seven names make up the first story before the flood, and the recorded names ever since contain not one living century. The number of the dead long exceedeth all that shall live. The night of time far surpasseth the day, and who knows when was the Æquinox? Every hour adds unto that current arithmetick, which scarce stands one moment. But the Quincunx of Heaven runs low, and 'tis time to close the five ports of knowledge. We are unwilling to spin out our awaking thoughts into the phantasmes of sleep, which often continueth præcogitations; making Cables of Cobwebbes and Wildernesses of handsome Groves. Beside Hippocrates hath spoke so little and the Oneirocriticall Masters, have left such frigid Interpretations from plants, that there is little encouragement to dream of Paradise it self. Nor will the sweetest delight of Gardens afford much comfort in sleep; wherein the dulnesse of that sense shakes hands with delectable odours; and though in the Bed of Cleopatra, can hardly with any delight raise up the ghost of a Rose. To keep our eyes open longer were but to set our Antipodes. The Huntsmen are up in America, and they are already past their first sleep in Persia. But who can be drowsy at that hour which freed us from everlasting sleep? or have slumbering thoughts at that time, when sleep itself must end, and as some conjecture all shall awake again? 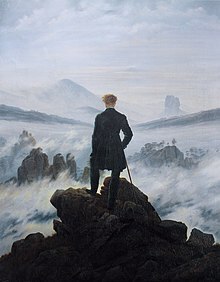 And surely, he that hath taken the true Altitude of Things, and rightly calculated the degenerate state of this Age, is not like to envy those that shall live in the next, much less three or four hundred Years hence, when no Man can comfortably imagine what Face this World will carry. The noblest Digladiation is in the Theatre of ourselves.